Given current concern about the state of the public coffers and “fat cat” public sector pensions, no doubt the Treasury is anxiously awaiting the decision of the Supreme Court as to whether Recorders (part-time judges in the Crown Court and county courts) should be granted retrospective admission to the Judicial Pension Scheme. Dermod O’Brien QC, who sat as a Crown Court Recorder for 27 years, is challenging the decision by the Ministry of Justice not to grant him a judicial pension on his retirement because he was a part-time judicial office holder paid a daily fee. A full time judicial office holder would have received a pension. A number of similar claims are currently stayed in the Employment Tribunal pending the decision of the Supreme Court. The O’Brien case is noteworthy for other reasons. This litigation is not supported by the Bar Council (financially or otherwise), a fact which has led to some barristers withholding their voluntary Bar Council subscriptions since 2007. Mr O’Brien QC has written about this issue here. Further, he has previously been advised by Eleanor Sharpston QC, currently Advocate General at the Court of Justice of the European Union (“CJEU”), who one might expect to know a thing or two about EU Law. All part-time workers in the UK are protected from less favourable treatment than a comparable full-time worker under the Part Time Workers (Prevention of Less Favourable Treatment) Regulations 2000, if that treatment is on the grounds that they are a part-time worker. However, Regulation 17 specifically excludes holders of judicial offices who are paid a daily fee from this protection. This does seem rather arbitrary, since it is hard to imagine any other category of office-holders who would not come within the definition of worker in the Regulations. Indeed part-time Recorders who are paid a salary and company directors are likely to be protected by the Regulations. Even police officers – still considered to be “pure office holders” in the traditional sense and not workers – are expressly deemed by the Regulations to be workers. The Labour Government never did hide its dislike of the judiciary very well. Mr O’Brien argues that the exclusion of fee-paid Recorders is incompatible with the Part-Time Workers Framework Directive (97/81/EC), and that the 2000 Regulations have not properly implemented the Directive into United Kingdom law. The Directive was intended to give effect to the Framework agreement on part-time work, which defines the scope of the agreement as “applying to part-time workers who have an employment contract or employment relationship as defined by the law, collective agreement or practice in force in each member state”. Unfortunately this sits rather untidily with English law, which distinguishes between employees and workers. Whilst an employee is a worker, a worker is not an employee, and has neither an employment contract nor an employment relationship. The Directive leaves Member States free to define who is a worker in accordance with national law and practice, provided that the definitions respect the content of the framework agreement. Neither the Employment Tribunal nor the Employment Appeal Tribunal were actually asked to consider this issue, and instead decided a limitation issue. However, the then President of the EAT decided the same issue in Christie v Department for Constitutional Affairs  ICR 1553, and held that the exclusion of fee-paid Recorders was wholly consistent with the discretion afforded to Member States under the Directive. He also declined to make a reference to the CJEU on the basis that there was no real dispute as to the proper meaning of EU law and the position was acte clair. The Court of Appeal in O’Brien ( EWCA Civ 1448) adopted the reasoning in Christie, and held that it was well within the discretion afforded to a Member State under the Directive to exclude fee-paid Recorders from the definition of workers. The Court of Appeal considered the domestic legal position at the time when Regulation 17 was introduced, and held that this supported the view that Recorders would not have come within the definition of workers in the 2000 Regulations in any event. In reaching this conclusion, the Court of Appeal appear to have given considerable weight to the former position under UK law, that statutory office-holders could not be employees, and therefore could not be workers. In more recent times, the House of Lords has held that this is a false dichotomy, and that holding an office and being an employee (or worker) are not inconsistent. Accordingly, the case-law on the employment status of judicial office holders cited by the Court of Appeal in their judgment (which dates back to 1953 and 1979), would appear to be ripe for challenge. The main issue for the Supreme Court to decide is whether the definition of worker adopted by the UK (and the specific exclusion of only fee-paid Recorders from this definition) is outside of the discretion afforded to Member States by the Directive. They will also have to consider whether fee-paid Recorders fall within the definition of workers within the Directive (and therefore the Regulations). The question of whether an individual is a worker or not, a question which bedevils Employment Tribunals every day of the week, is essentially a question of fact. It will be interesting to see how the Supreme Court approaches this question, especially as the courts below did not in fact make any findings of fact. Any decision on this issue could have significant repercussions for UK employment law generally, as the definition of a worker in the Regulations is identical to that used in legislation such as the Employment Rights Act 1996 and the National Minimum Wage Regulations 1998. 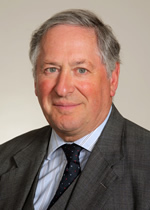 One indication of how the Supreme Court may decide this issue, is the obiter comment of Baroness Hale, who is on the panel of judges who will hear O’Brien, in Matthews v Kent and Medway Towns Fire Authority  ICR 365 (the part-time fire-fighters case) that the Parliamentary draftsman had clearly foreseen that fee-paid judicial office holders would fall within the definition of workers, and had therefore specifically sought to exclude them by regulation 17. If the Supreme Court finds in favour of their judicial brethren, then they are likely to agree with the EAT in Christie that there is no possible way to construe Regulation 17 in order to render it compatible with the Directive. I read your blog of my case with interest. 1. Since the Part-time Workers Directive has already been held by the ECJ to be directly effective, if part-time judges are within scope of the directive, they are enritled to pro rata equal treatment whatever the UK Regulations say. 2. Since Percy v Church of Scotland held that being an office holder did not preclude (or give rise to a presumption against) also having a contract of employment, if part-time judges have contracts of employment or ’employment relationships’ with the M of J they are equally entitled to the protection of the directive even on the M of J’s case. Please note the correct spelling of my first name. Am I right in my understanding of Regulation 17 of the Part Time Workers ( Prevention of Less Favourable Treatment ) Regulations 2000 that it applies to the hundreds of Doctors and others who hold part-time fee paid judicial appointments on tribunals and similar? If Reg17 is effective it will exclude all judicial office holders remunerated on a daily fee paid basis, including doctors and other professional and lay persons, from the benefit of the regulations. However the courts may hold that Reg 17 is ineffective as being incompatible with EU law or, if Reg 17 is effective in excluding part-time judges from the Regs, they may be able simply to rely on the directive if the CJEU decides that they are within scope. Yes, Regulation 17 of the 2000 Regulations would apply to a doctor holding judicial office if he is remunerated on a daily fee-paid basis. However, the CJEU (and Supreme Court) is likely to hold that fee-paid judges can’t be arbitrarily excluded from the 2000 Regulations (see my post on the Opinion of Advocate General Kokott delivered on 17/11/2011). Therefore the Supreme Court is likely to hold that Regulation 17 is unlawful, and fee-paid judges are entitled to the protection of the 2000 Regulations (in all respects, not just in terms of access to pensions). Similarly to the comments above, will it also establish that members of the Reserve Forces are workers within the meaning of the Directive/Regulations and entitled to pensions rather than being told that are “part time casual workers” with no employment rights even though they have an ongoing employment relationship with the Crown and that furthermore it is too expensive to pay them a pension. Regulation 13 of the 2000 Regulations concerns members of the Reserve Forces. In summary, Regulation 13 provides that the 2000 Regulations do apply to employment by an association established for the purposes of Part XI of the Reserve Forces Act 1996 (Regulation 13(1)(b), but not to undertaking training obligations, voluntary training or duties as a member of the Reserve Forces (Regulation 13(2)). The O’Brien case is likely to establish that the UK cannot arbitrarily exclude certain categories of part-time workers from the protection of the Directive, and therefore will throw considerable doubt on whether Regulation 13(2)(or any similar exclusions) are lawful. The O’Brien case will not resolve the question however of whether members of the Reserve Forces are workers within the meaning of the 2000 Regulations or the Directive. This is something that will have to be resolved separately, although it may be that once we have a decision from the Supreme Court in the O’Brien case, the Ministry of Justice will amend the 2000 Regulations. A. very informative blog. Thank you. Will fee paid judges not have a difficulty in establishing ‘mutuality of obligation’ for the purpose of reg 1 (2) or will they rely on “any other contract”? Following the judgment of the CJEU, the Supreme Court has held (for reasons to be given later) that recorders, as part-time judges, are workers for the purposes of the Part-time Workers Directive. The MofJ had asked for this issue to be referred back to the Employment Tribunal but in this they failed. The MofJ now has a further application to the SC torefer the case back to the Employment Tribunal on the grounds that there is “objective justification” for refusing to give part-time worker benefits (specifically pensions) to part-time judges. It admitted that this argument was unsustainable on the pleading as filed in 2005 and its lawyers were unable or unwilling to suggest what amendment might be applied for. The Supreme Court has now imposed a timetable within which the MofJ must show that it has a realistic and triable case on objective justification. We all return to the Supreme Court in November for the decision on whether the issues of objective justification and quantum are to be remitted to the ET, or quantum only. As a Deputy District Judge aged 65 I am naturally following these proceedings with great interest. I wish Mr O’Brien and his colleagues every success, and in the meantime would like to be kept informed of how this matter is going. The MoJ finally lost in the Supreme Court. Part-time judges are workers and there is no objective justification for discriminating against them in comparison to their full-time comparators. The SC remitted the case to the Employment Tribunal to decide upon remedy. Trench warfare continues in the ET. To date there have been four sets of preliminary hearings at which the MoJ takes every point imaginable to delay or minimise the claims. Some of these preliminary issues are in the name of O’Brien v MoJ while others are in the name of Miller and others v MoJ. (a) Whether sitting days prior to 7 April 2000 count towards the pensions of part-time judges appointed before, but retiring after that date, count towards their pensions. The CJEU tried to cover this point in its judgment and the MoJ lost before the ET but the MoJ are appealing to the EAT and apparently seeking a second reference to the CJEU to reverse the decision. This issue is linked to another issue, namely whether Recorders appointed before 1995 can say that their entitlement to pension arose by reference to the Judicial Pensions Act 1981 rather than the Judicial Pensions and Retirement Act 1993. The earlier Act prescribed a shorter accrual period which is advantageous for such long serving Recorders. (b) Whether the MoJ is entitled to rely on a divisor of 220 when reducing the annual salary of a Circuit Judge to the daily fee of a Recorder both for payment and pension purposes. Circuit Judges are not required to work for any more than 210 days a year (inclusive of days off sick, writing judgments, admin, JSB, holidays etc etc.) and if they work any more days they can carry forward the excess to diminish the next year’s obligation. The ET held that 210 was the correct divisor but the MoJ have again appealed. (c) Whether the MoJ is entitled to pay half fees for the days when part-time judges attend training events (and treating those days as half days for pension purposes) while at the same time paying full time judges their full remuneration (and accruing full pension rights) for attending the same events. Again the MoJ lost in the ET. It remains to be seen whether they will appeal this substantive point; they have already appealed it on a pleading point. There are a considerable number of other points which are dealt with the ET’s judgment in Miller and others (Case No 1700853/2007) of 30 December 2013 which may be of different relevance to different varieties of part-time judges. Of particular importance is the decision on limitation which deserves careful attention. It appears to conflict with an earlier ET decision in Wright v MoJ (case No 2203628/2007) of 2 January 2009. The moral appears to be: do not delay in issuing proceedings. The claim may become barred if proceedings are not commenced within 3 months of cessation of the part-time judgeship concerned. Further to my reply of 5/1/2014, the M of J lost on issues (b) and (c) and have not appealed further than the Employment Appeal Tribunal. Issue (a) remains outstanding and has been referred by the Supreme Court to the CJEU. What a pity that the M of J did not think up or refer to this argument earlier – when it could have been covered by an additional question on the first reference to the CJEU. As it is they have achieved even further delay to litigation that has been running for 12 years. Further to my comment of 5/1/2014, issue (a) – now generally referred to as the “year 2000 issue” – has worked its way through the system. The ET was in my favour, the EAT and the Court of Appeal were against me. A majority of the Supreme Court was in my favour but, since it was not ‘acte clair’, a second reference had to be made to the CJEU which has now found in my favour – as it would have done if the MoJ had not waited until the case had been running for 8 years before raising the point. Four more years and many thousands of pounds in costs have been wasted. Leave a reply on "Case Preview: O’Brien v Ministry of Justice"